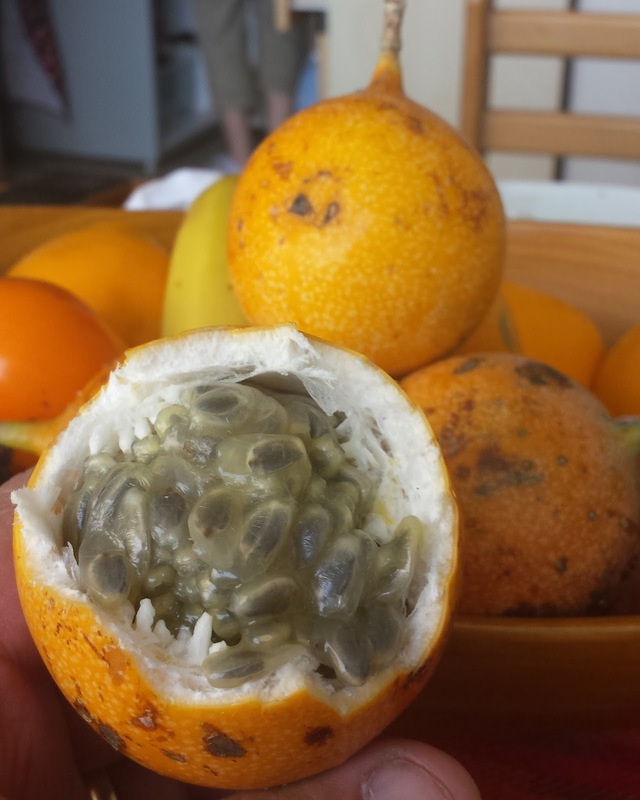 One food that people just can't seem to grasp when it is described to them is the granadilla. Telling them that it is a cousin of the passion fruit just doesn't quite do it. Describing it is even worse. It looks like an orange maraca or baby rattle. The inside is filled with gray seeds covered in gray gel, and it kind of looks like snot. You don't chew or spit out the seeds, but just slurp it all down. In fact, however, granadillas are awesome. They have a mild, sweet flavour and a light aroma of ... granadilla. The pulp goes down really easily and babies love it. They are fun and easy to eat --not messy at all-- and refreshing. Easily one of Peru's favorite fruits.